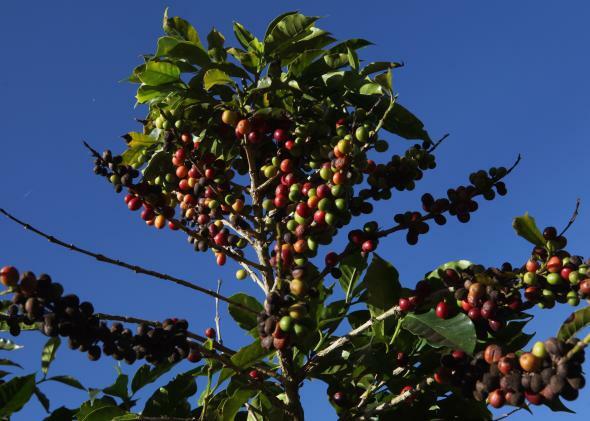 Coffee shortage caused by Brazilian drought? Coffee berries ripen in Brazil, during the good old days of 2009. If there was ever a reason to rise up in support of a benevolent climate-obsessed world dictator, this could be it. Climate change has already taken the Winter Olympics, your Eggos, and the McDonald’s dollar menu, and now it’s coming for your coffee, too. An epic drought—Brazil’s worst in decades—is threatening exports from the world’s largest coffee exporter and driving up wholesale prices worldwide. We’ve officially entered the realm of bloggers’ worst-case scenario. Now, let’s not get too hasty. The world is not going to run out of coffee next week. Analysts still estimate an increasingly tight global coffee surplus of less than 1 percent of total production through the remainder of the year. But the Brazilian drought is causing a significant pressure on global supplies, and when coupled with burgeoning demand from increasingly affluent consumers in Asia (and Brazil itself), that means prices are surging and that surplus could quickly become a shortage if the drought continues to intensify. Arabica coffee futures are up more than 50 percent in just the last two months in response. The current run on coffee is an example of the kinds of follow-on effects to be expected as the climate warms and rainfall patterns become more erratic. The ongoing lack of rainfall, coupled with record high temperatures across the whole of southeast South America during the current Southern Hemisphere summer, is just the kind of extreme weather event that’s been becoming more common over recent years. In an era of scientific consensus that we humans are doing this to ourselves, this shouldn’t come as a surprise. 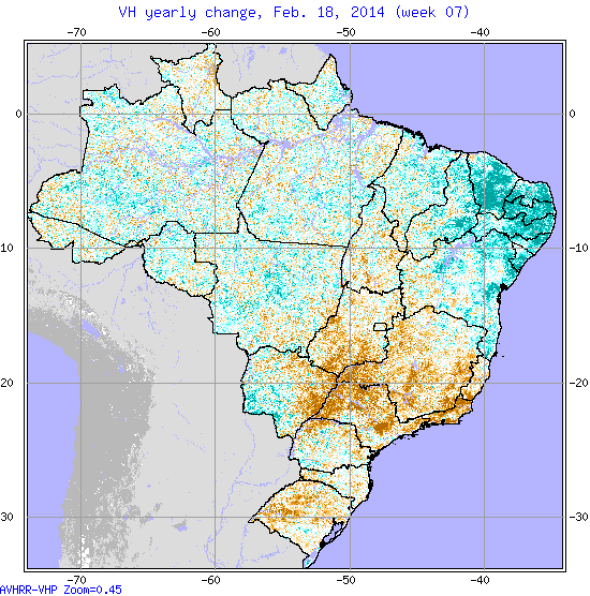 A satellite-based vegetation health index shows the change between February 2013 and last week. Areas of intensifying drought are shown in brown. Image by the NOAA Center for Satellite Applications and Research. Back in 2011, Starbucks’ head of sustainability Jim Hanna called increasingly extreme weather linked to climate change a “potentially significant risk to our supply chain.” But Brazil’s government—much like ours here in the United States—seems to have its head stuck in the sand on what to do about it. What one farmer feels far into the Brazilian countryside is pretty much exactly what scientists in Brazil’s cities are saying, too. Hilton Silveira Pinto is an agro-climatologist who has worked on a number of studies for EMBRAPA, Brazil’s government agency for agriculture. Since coffee is grown on carefully cultivated trees, it takes years for a plantation to reach maturity. As ideal coffee growing regions shift higher in elevation in a warming climate, existing plantations will force abandonment. NPR notes that some estimates project up to 10 percent of Brazil’s currently most productive coffee-growing regions will be fallowed in just the next few years. The part of Brazil being hit hardest is in its highly populated southeastern corner, well south of the Amazon rainforest. 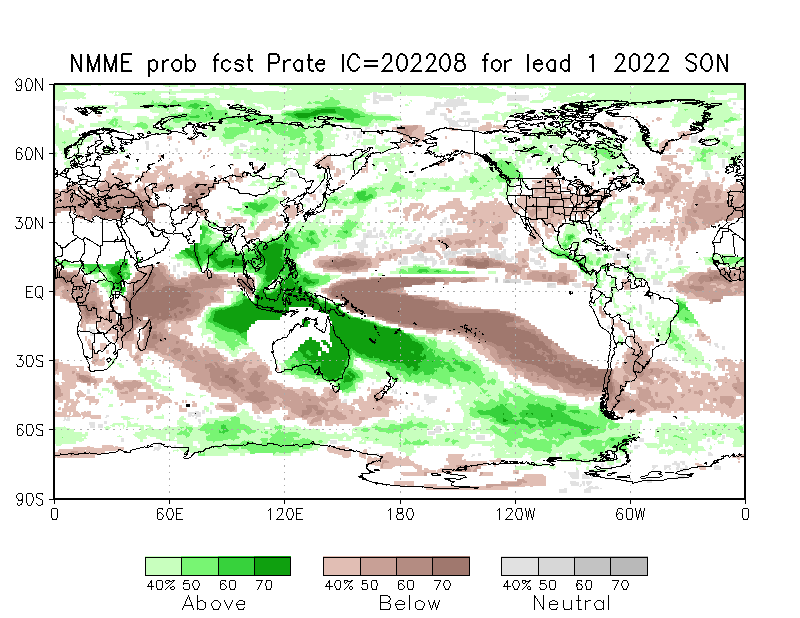 In Brazil, climate models have mixed results when projecting future rainfall patterns (wetter for the southeast, but drier over the Amazon and the northeast), but are unambiguous about the fact that temperatures will continue to climb. This is a problem that is not going to go away. And it’s not just coffee that’s being affected in the current drought. Brazil is also the world’s largest exporter of sugar, oranges, soy, and cattle. Prices for those commodities are also surging in response to the drought in South America. Some cities in Brazil have already begun water rationing. This week, Reuters reported that Brazil may have to lower its 2014 economic growth forecast as a result of the ongoing drought. Looking ahead for the remainder of the Brazilian summer rainy season and into the autumn (March through May), the atmospheric odds seem to be stacked against any kind of significant rebound in rainfall any time soon. In fact, it seems increased dryness is the most likely scenario. 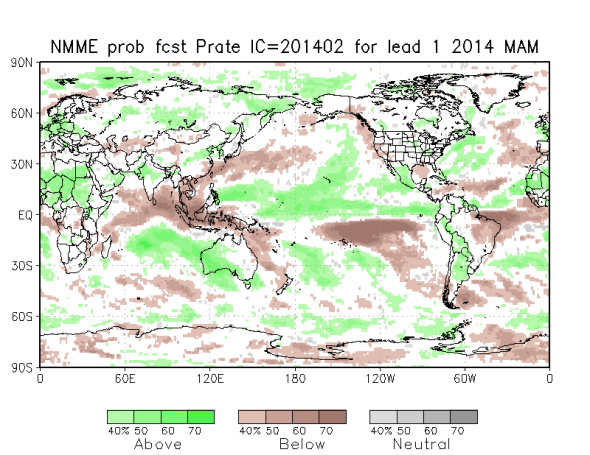 The forecast for March through May 2014 shows a continuation of abnormally dry conditions across Brazil. Image by the NOAA National Multi-Model Ensemble. Let the coffee hoarding begin.